I thought we might have an ongoing where we alert each other to the matter of unexpected releases, limited editions, and such. By masterpiece do they mean, drug addled mess. Jeemo wrote: By masterpiece do they mean, drug addled mess. You could call it that. Depends on your frame of mind. I saw it on the big screen in the early 90s. It's a lot more ambitious than Easy Rider, Hopper had free reins. How does it depend on your frame of mind? Are you sympathetic to that kind of freewheeling filmmaking. You don't have to be under the influence to enjoy it, but I think it would help if you are sympathetic to drug culture. I mean, you can look at it as a glorious mess or as a dismal failure. A glorious failure, a dismal mess? It's okay if you're in the mood. El Topo is better, and so is Fonda's The Hired Hand. I reviewed all three this year in the Now Playing thread. Clint Eastwood's Man with No Name spawned imitations, variations and shameless rip-offs keen to emulate his success at the box office. Within months of A Fistful of Dollars release, Giuliano Gemma was playing Ringo, who was then followed by Franco Nero's Django, Tony Anthony's The Stranger and Gianni Garko's Sartana each providing their own twist on the Eastwood antihero, and each of them then subject to their own spate of unofficial sequels, spoofs and cash-ins. 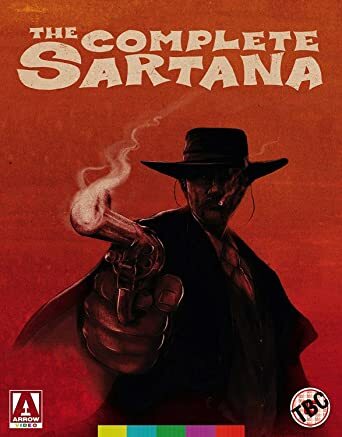 Sartana tapped into more than just his Spaghetti Western predecessors a mysterious figure, he has a spectral quality, aided by his Count Dracula-alike cloak which also nods towards comic strip figure Mandrake the Magician, with whom he shares he shares a penchant for card tricks. He takes pride in his appearance unlike the Eastwood's dusty wanderer or Nero's mud-caked drifter. And there's a dose of James Bond too in his fondness for gadgetry and the droll sense of humour. Jane Asher. In the buff. Deep End has been reissued a few times before. I don't think I entirely understand this thread, so I'll try to help Googa out..are you looking for people to recommend cult films that have had a DVD or Blu-Ray release? 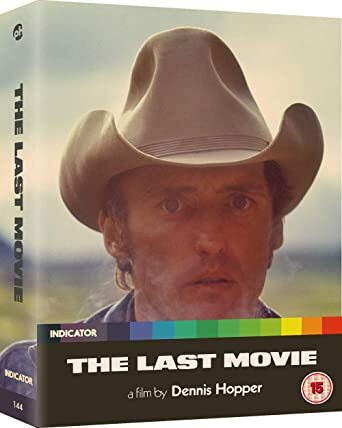 The Modernist wrote: I don't think I entirely understand this thread, so I'll try to help Googa out..are you looking for people to recommend cult films that have had a DVD or Blu-Ray release? Yes, that was the idea. The more obscure, the better. Jeemo wrote: Deep End has been reissued a few times before. I see, thanks. The way they describe it (rescuing from obscurity) made me think it was a first time release. Let us extend it to titles that are hard to find, also. It was issued on BFI's Flipside -which is dedicated to obscure British films. Hard to beat the Criterion issue of "The Blob." Jonathan Miller's film of Kingsley Amis' comic novel (adapted for the screen by George Melly), casts Hayley Mills (Whistle Down the Wind, Twisted Nerve) as a naïve young girl who moves from the North of England to teach in a London school and finds herself fending off the advances of a number of lusty suitors, including Oliver Reed, John Bird and Noel Harrison. As much a document of its time as a satire on the sexual mores (and confusions) of the period, Miller's still remarkably fresh debut feature is buoyed by its terrific cast and a typically excellent Stanley Myers score. The success of Dario Argento's The Bird with the Crystal Plumage ushered in a host of imitators, seeking to capitalise on this new, modern take on the giallo thriller. Many were highly derivative, but a number nonetheless rose above the crowd thanks to skilful execution and a willingness to experiment stylistically. Once such example is The Fifth Cord ¬ which, in the hands of director Luigi Bazzoni (The Possessed, Footprints on the Moon), turns a conventional premise into a visually stunning exploration of alienation and isolation. 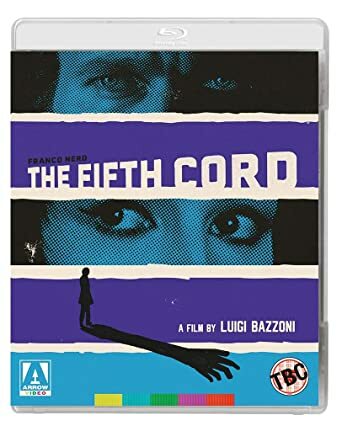 Adapted from a novel by David McDonald Devine, The Fifth Cord boasts a complex, Agatha Christie-esque plot, outstanding cinematography courtesy of future Oscar-winner Vittorio Storaro (Apocalypse Now) and supporting appearances by a raft of genre stalwarts, including Silvia Monti (A Lizard in a Woman s Skin), Edmund Purdom (Nightmare City) and Rossella Falk (Sleepless). Debuting here in high definition, arguably the most visually stunning giallo ever made now shines like never before.